Welcome to Baillie Brothers web page. 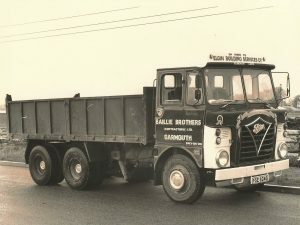 Baillie Brothers was initially formed in 1958 by three Brothers John (Jock), David (Davie) and Gordon whom have long since retired and handed the business down to the families. It originated in the small village of Garmouth in Morayshire and very quickly out grew it’s surroundings but managed to stay there until 1996 when we moved to the nearby town of Elgin. In 2017 the last of the business was sold to Limehillock Quarries Ltd who wished to continue with and be associated with the Baillie name which was held in high regard for over 50 years. 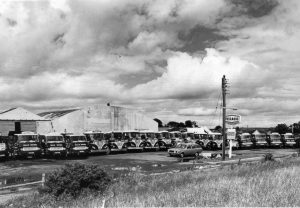 Above is the original building at Station Road, Garmouth with Petrol Fuel pumps in the foreground and an original photograph of one of our tippers. Today the business is based at Nether Dallachy, Spey Bay on the Morayshire coast near to the mouth of the River Spey. Baillie Brothers are specialists in the transport of materials from any quarry or for any company. We have the fleet to carry out site clearances and site preparations in a fast and efficient manner. 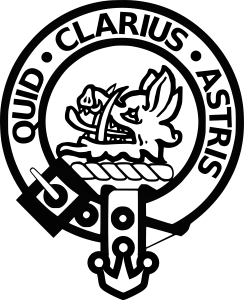 This is the Crest of the Baillie family. All of the Baillie Brothers Fleet has this on the cab somewhere.